<br>Robert Luff & Co are delighted to offer to market this ground floor flat situated in this popular West Worthing location opposite the attractive St Botolphs church and close to town centre shops, local restaurants, parks, schools, local bus routes and mainline station. 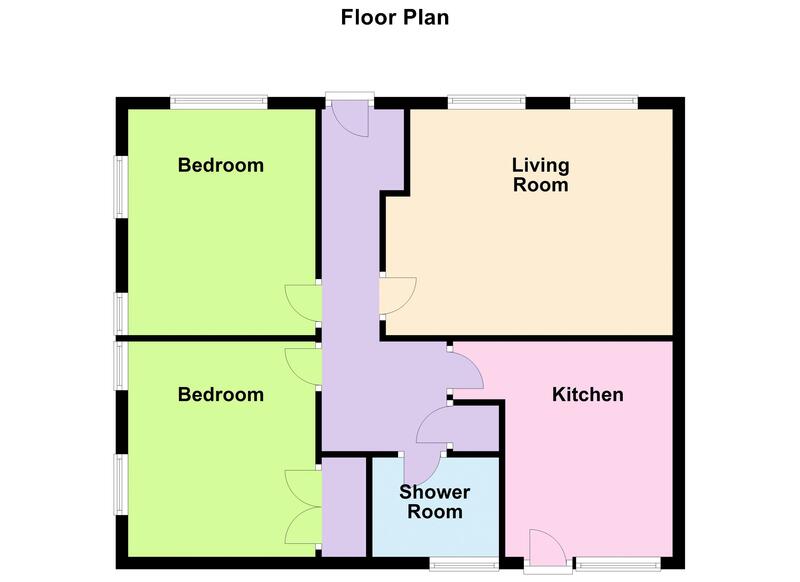 Accommodation offers entrance hall, living room, kitchen, two double bedrooms and shower room. Other benefits include the freehold, a garage and surrounding gardens. Private entrance door to hall. Wooden fire surround with marble effect insert and hearth, TV point, two double glazed windows to front, coving, shelving in recess. Matching range of white fronted base and wall units, worktop incorporating stainless steel sink unit with mixer tap, four ring gas hob with extractor fan over, space for fridge freezer, electric double oven, tiled splash back, double glazed window, frosted double glazed door to rear access and to garaging, coving, radiator. Radiator, two double glazed windows with view of garden, coving. Dual aspect double glazed windows to front and overlooking the garden, radiator. Large walk in power shower with glass screen , basin, low level flush w/c, high gloss tiled walls, under floor heating, double glazed frosted window. With up and over door and built in storage. (The central garage out of the three). Large Westerly aspect side garden with flower beds.